Small leg veins are a cosmetic problem. A careful examination is important to identify which veins will improve with Sclerotherapy injections and which will improve with laser treatment. 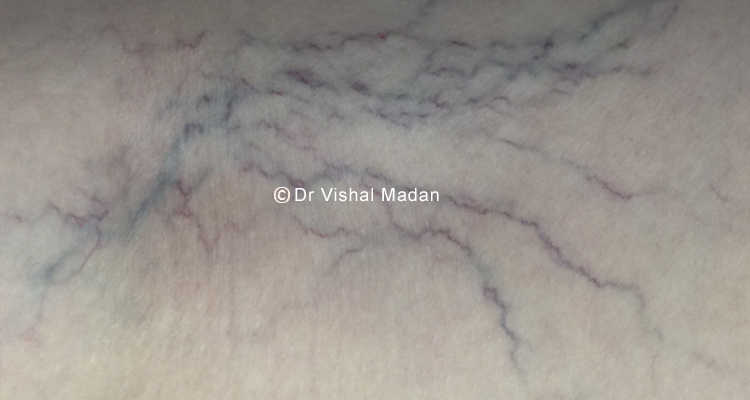 Microsclerotherapy is injection of a chemical such as Aethoxysklerol or Polidocanol (Sclerovein) to cause irritation of the vein wall which leads to closure of the vein wall. Laser treatment is suited to some very small veins which are not injectable. Both laser and microsclerotherapy are offered by Dr Madan.